I’m having lunch in a riverside restaurant bar; one of the more expensive places that caters to foreigners in Phnom Penh. Despite the pricey menu and atmosphere, a small cockroach runs across my table. Well, they don’t have regular health inspections in Cambodian restaurants, so it’s no surprise really. Rather than kill it, I take a deep breath, and blow it off the table onto the floor. Maybe these peaceful Buddhists here are starting to rub off on me. As I eat my sandwich, in walks a very white European, with a long, uneven red beard. A young guy, he looks like he’s still in his 20’s. Taking a seat at the bar, the American bartender and owner walks up to greet him. “I saw you on CNN,” he says shaking the bearded one's hand. Upon hearing that my ears perk up; I figure he must have an interesting story to tell. I’m not disappointed. This fair skinned young man is Gotfrid Svartholm, and he had just flown in from Sweden this morning. 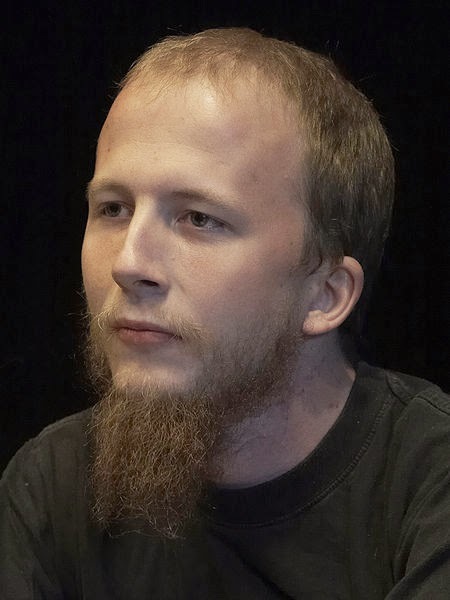 He also happens to be one of the founders of an infamous internet website, by the name of ‘The Pirate Bay’. Following in the tradition of Napster, Gotfrid and his friends had created a file sharing site for exchanging and downloading movies and music, for free. Their website became so popular providing free digital entertainment, that it was soon targeted by American media companies. Since his website brought no royalties for the movie and music companies, it violated the copyright laws of numerous countries. Their offices were eventually raided by Swedish police, and shut down. “They filed a $15 million dollar lawsuit,” Gotfrid told me. Their case had been all over the news. He's not living life under the radar either, he opened an IT company here in Phnom Penh, “I’m glad that copyright laws are not enforced in Cambodia,” he tells me. Finishing his lunch, he says goodbye to me. He has to go get some sleep after his long flight. I think I would have a hard time sleeping, if I was facing a $15 million dollar lawsuit. Sometime later, I learned that Gotfrid was arrested, and extradited back to Sweden. He and three others were found guilty of collaborating to violate copyright law. They were sentenced to one year in prison, and collectively fined $3.6 million. Apparently foreign fugitives are no longer welcome in Cambodia.